The 2015 UN Climate Change Conference or COP21 is being held this week in Paris and it is hoped that talks will result in a new international climate change agreement. This provides an opportunity for the climate and nutrition communities to work together. Against this backdrop, this month on the Gender-Nutrition Idea Exchange, we asked Patti Kristjanson, a Senior Research Fellow with the World Agroforesty Centre (ICRAF), to share her thoughts on why gender is an essential element in the transformation of agricultural systems in the face of a changing climate and how nutrition fits in. Agricultural growth is a key pathway towards addressing development issues such as food and nutrition insecurity and poverty, which climate change is already exacerbating. And gender may just be the piece of the puzzle that we have been paying ‘lip service’ to for far too long. We simply are not going to see the transformative changes in agriculture and food systems that we need to see without also tackling gender issues. Rainfall is becoming increasingly variable and temperatures are rising. Thus most of the world’s millions of smallholder farmers will have to shift what they produce, and how they produce it. This includes putting more time, money and effort into soil and water management practices, planting trees, growing legumes, adopting stress tolerant crop varieties, shifting from maize to sorghum, or from cattle to goats, to name just a few examples of opportunities that will allow smallholders to become more resilient. Women are key to solving the puzzle, and their actions bear important implications for household food security and nutrition (PDF, 343 KB). There are strong conceptual links between climate change and nutrition which need to be understood further. Climate change has an effect on the enabling environment for malnutrition reduction. It influences food consumption through changes in the food environment that affect prices, supply and quality of food; it has an effect on the health and living environment through the emergence of new health stresses and impacts on health and sanitation systems and lastly, it modifies the work/social environment through changes in workloads and time allocations of members of farm households. New research is showing just how grossly neglected and under-served smallholders, especially women farmers, within food systems in lower-income countries have been. They don’t receive the agricultural and climate information they need, and have much less access to inputs, credit and services as compared to men. These women do not only produce food, but they also prepare it and are responsible not only for their own nutrition but also for their families’ nutrition. Its time to start looking at this as an opportunity and not just a problem, and address the huge ‘so what do we do about it’ question. At the farm-level, farmers recognize and are trying to cope with changing climates. They are trying, or want to try, practices that will reduce their vulnerability to climate shocks. 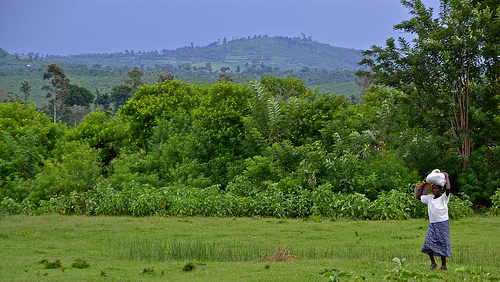 This includes tasks such as planting fruit, fodder and fuel trees on farms. 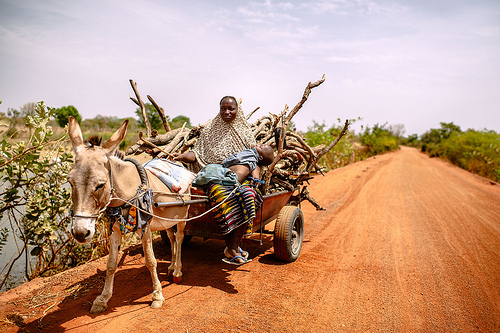 These can save much time and effort for those women who go out to collect fodder and fuelwood, for example. They also can include soil conservation efforts, which in some circumstances may greatly increase women’s time spent on weeding and other tasks. Thus, we need to understand the costs and benefits of these practices, not just for households, but also for individuals and the environments in which they live. Nutrition is one of the outcomes that a change in workload could impact as time spent in agriculture could reduce time spent on resting, childcare and food preparation. Turning these challenges into opportunities however, is easier said than done. How can we best tap into the potential of women farmers? How can we keep young people interested in farming and create good jobs for them elsewhere in the food system? And how can we do this while ensuring there aren’t any unintended effects on women’s time burden and consequently on nutrition? We now recognize why we need to do this, so it’s time to put more resources into figuring out the ‘what’ and the ‘how’. test innovative communication strategies, together with private and public sector partners in many countries, to reach more women and youth with much needed information on exciting new options and opportunities in agriculture. recognize potential trade-offs on outcomes such as women’s empowerment and nutrition by ensuring policy measures that are taken at all stages of the project cycle are gender-sensitive and nutrition-smart. World Bank/FAO/IFAD, 2015. Gender in Climate-Smart Agriculture Sourcebook: Module 18 for the Gender in Agriculture Sourcebook. Twyman J, et al., 2014. Adaptation Actions in Africa: Evidence that Gender Matters. CGIAR Research Program on Climate Change, Agriculture and Food Security (CCAFS) Working Paper no. 83. Jost C, et al., 2015. Understanding gender dimensions of agriculture and climate change in smallholder farming communities. Climate and Development. Bernier Q, et al., 2015. Institutions and gender in the adoption of climate-smart agriculture: Evidence from Kenya. CCAFS Working Paper No. 79. Ferdous N, Jost C, Kristjanson P, 2015. Closing the Relevance Gap: Lessons in Co-Developing Gender Transformative Research Approaches with Development Partners and Communities. CCAFS Working Paper no. 99. Jost C, Ferdous N, Spicer TD, 2014. Gender and Inclusion Toolbox: Participatory Research in Climate Change and Agriculture. CCAFS, CARE International and the World Agroforestry Centre (ICRAF). International Food Policy Research Institute (IFPRI), 2015. Global Nutrition Report – Chapter 6: Climate Change and Nutrition. Beuchelt T.D and Badstue L, 2013. Gender, nutrition and climate-smart food production: Opportunities and trade-offs. Food Security, Vol 5. No. 5.